Southern Loggin’ Times magazine’s October 2015 issue features Florence, South Carolina’s Anderson Logging, Branford, Florida’s T.W. 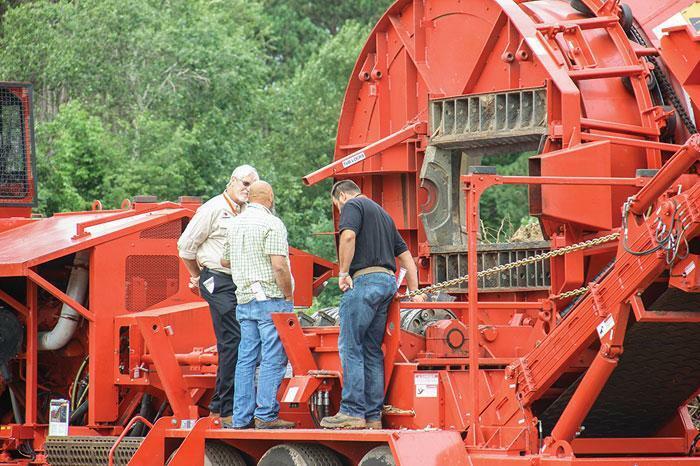 Byrd and Sons Logging, and Leesville, South Carolina’s South Carolina Pole and Piling, Inc. A special article provides a look into the cork harvesting business in Portugal, and another details Morbark’s recent Demo Days. Also highlighted is the recent Mid-Atlantic Logging & Biomass Expo, held September 18-19 near Selma/Smithfield, North Carolina. 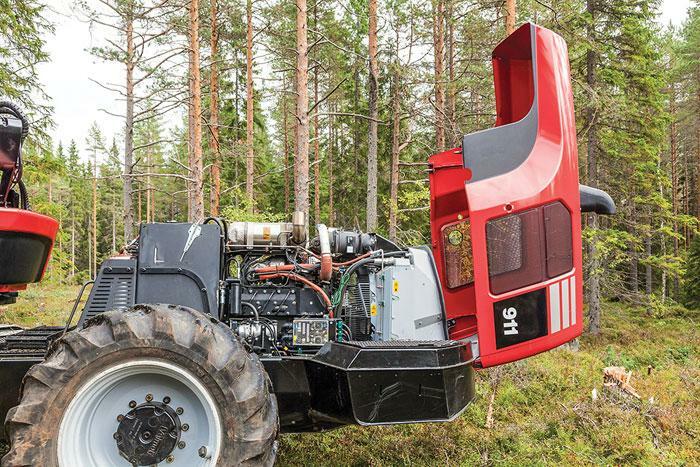 Other articles cover the latest industry news, new products and equipment, and logging business tips. Southern Loggin’ Times magazine Associate Editor Jessica Johnson visits T.W. 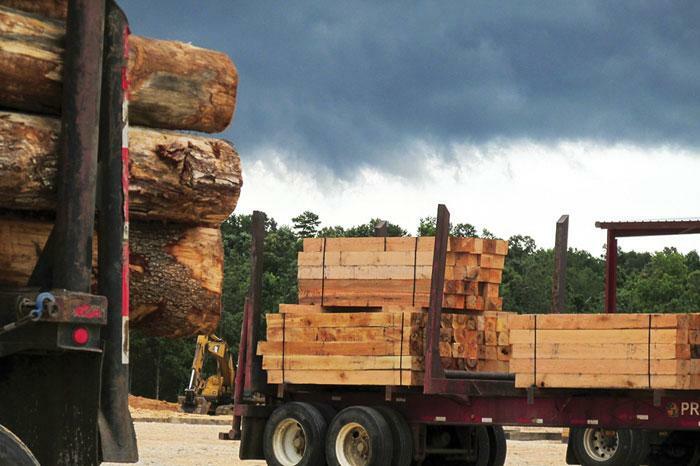 Byrd and Sons Logging located in Branford, Florida. 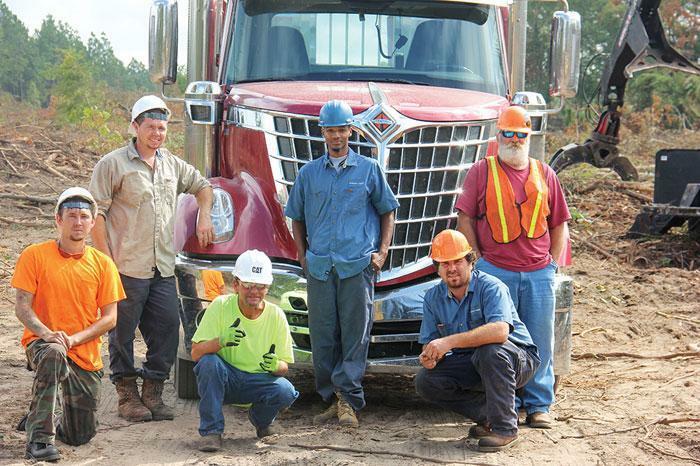 Florida’s Byrd family has been in logging since the early 1950s, though a lot has changed since then, and now the family operates nine in woods crews, a fuel plaza, a power equipment dealership, a milk dairy and a starters and alternators vehicle repair shop. Paul Byrd, 58, was SLT’s tour guide during the visit to the impressive home base of the operation and was constantly dropping little hints to the entire picture of the operation. 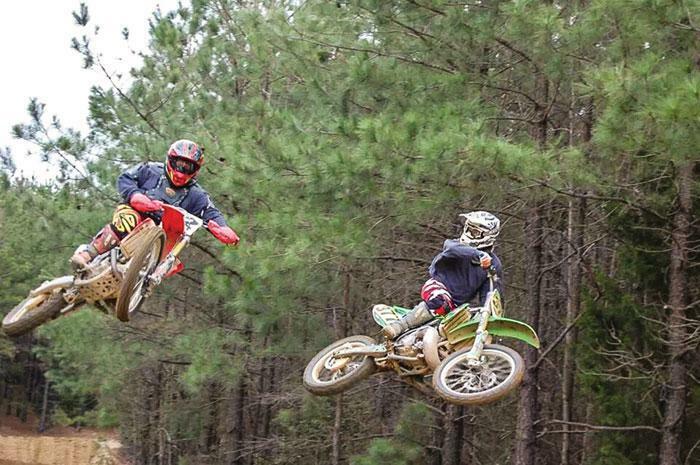 A humble guy, Byrd said it all just grew from the logging crew his mother and father started. 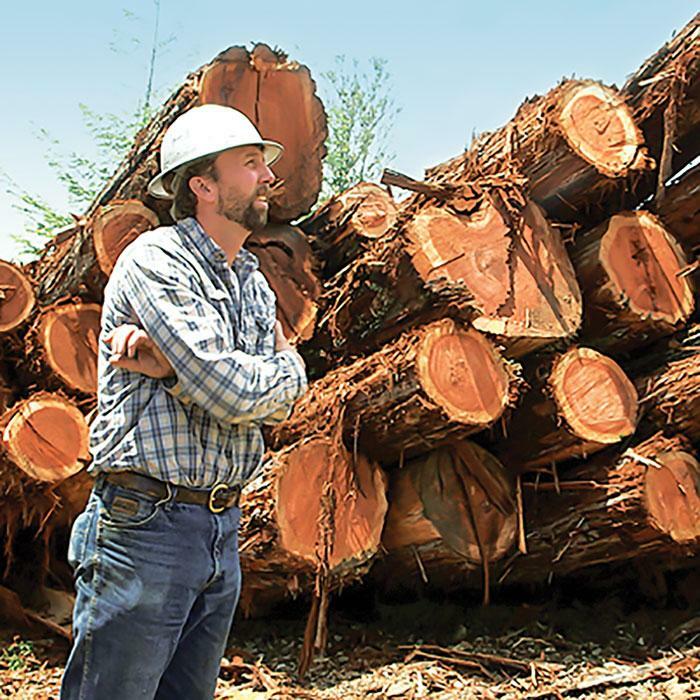 Byrd says when his father passed away in 1975, the family was farming and running one logging crew, but made the choice to move away from farming and focus their energies on logging. Southern Loggin’ Times magazine Associate Editor Jay Donnell travels to Leesville, South Carolina to visit South Carolina Pole and Piling, Inc. One thing that South Carolina Pole and Piling, Inc. learned from the recession is to have an operation that can adjust quickly to market opportunities. As the recession unfolded, the company quickly (and unfortunately) learned it was a good barometer of the construction industry. Sales started dropping immediately in the summer of 2007 and continued to decline. 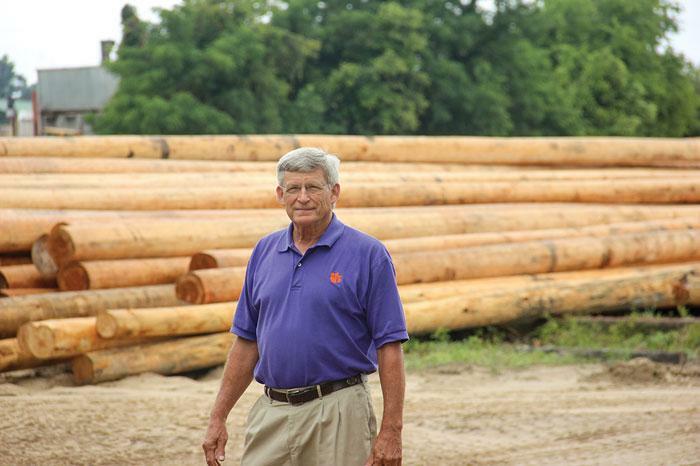 Their response, instead of sticking solely with their traditional production of large white poles, was to start exporting pine logs, hardwood logs, and getting more into the small piling industry. They also became more particular with their pole sizes, finding special sizes they could move since the whole range of sizes was not moving. Cork is an extremely light, compressible, elastic and flexible material, practically impervious to moisture, and to liquid and gaseous substances. It has a very high coefficient of friction; is a poor conductor of electricity, sound and heat; and has an exceptional shock-absorbing capacity. It also resists many chemical substances and has virtually unlimited durability. Of course, it is also used as a bottle stopper (think wine). Have you ever wondered where cork comes from? The answer is most likely to be Spain or Portugal, where well over half of the world’s cork is harvested. Cork, which comes from the cork oak (Quercus suber L.), is in fact the national tree of Portugal, which claims nearly one-third of the world’s total cork oak area, estimated at 5.3 million acres. 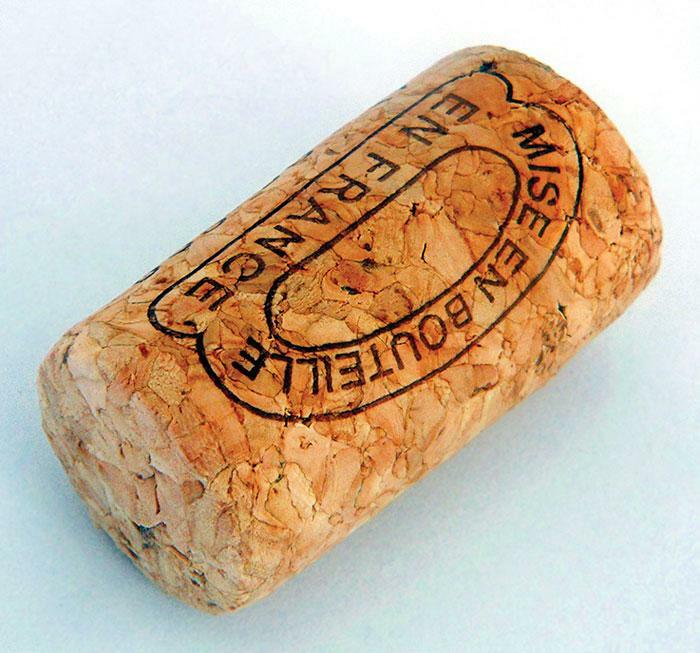 Portugal produces about half of the world’s annual cork harvest of approximately 310,000 tons. Southern Loggin’ Times magazine Associate Editor Jay Donnell attends Morbark’s Demo Days event in Winn, Michigan. Morbark, Inc. held its annual Demo Days August 20-21 and attracted several hundred customers and dealers from throughout the world. Morbark demonstrated eight machines and hosted an extensive tour of its sprawling factory. Attendees were treated to an excellent breakfast on the first morning at headquarters as Chairman Lon Morey and President Jim Shoemaker, Jr. updated everyone on the state-of-Morbark. Attendees then toured the 1.1 million sq. ft. factory and observed station-by-station manufacturing of various equipment lines. After the factory tour customers and dealers went out to the Morbark proving rounds, just a few miles away from headquarters, and had the chance to walk around eight different machines and ask questions to the Morbark representatives stationed at each piece of equipment. 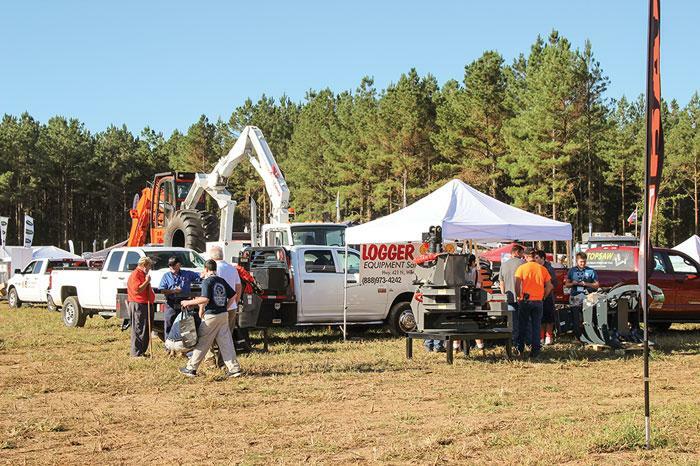 With a record 3500 folks in attendance, the crowd in Selma-Smithfield, NC for the 2015 Mid-Atlantic Logging & Biomass Expo, held September 18-19, was upbeat about market conditions and new equipment rollouts. “I did not hear anything but positive comments. The weather was beautiful; the attendance was outstanding, and we had higher vendor participation than ever; it was a huge success!” Expo Coordinator Jack Swanner said. From the compact layout design, with limited walking hazards and easy access to highways, many milling about echoed Swanner’s positive review. Landowners Mary Earp Worley and Nancy Crews Earp are currently in discussions about having the show again in the same general area in 2017. The show brought out the usual suspects of Caterpillar, John Deere and Tigercat showing live harvesting equipment, with many static booths displaying trailers, parts and other services, like chain saws and insurance options, even Smoky the Bear made an appearance at the NC Forest Service Booth. At The Margins is designed to help loggers manage and/or operate their business better. Each month an expert provides information, tips or advice on how to maximize profitability, enhance efficiency or increase business knowledge. 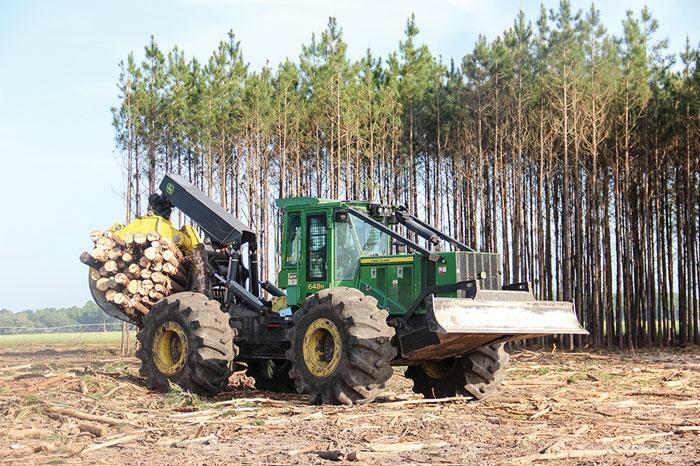 This month’s column is provided by Tom Trone with John Deere Forestry. The article is titled, “Make The World Your Market.” Click here to view the full article.